These socks are the best. I already have about 24 pairs from past mehs but I just ordered 9 more pairs. 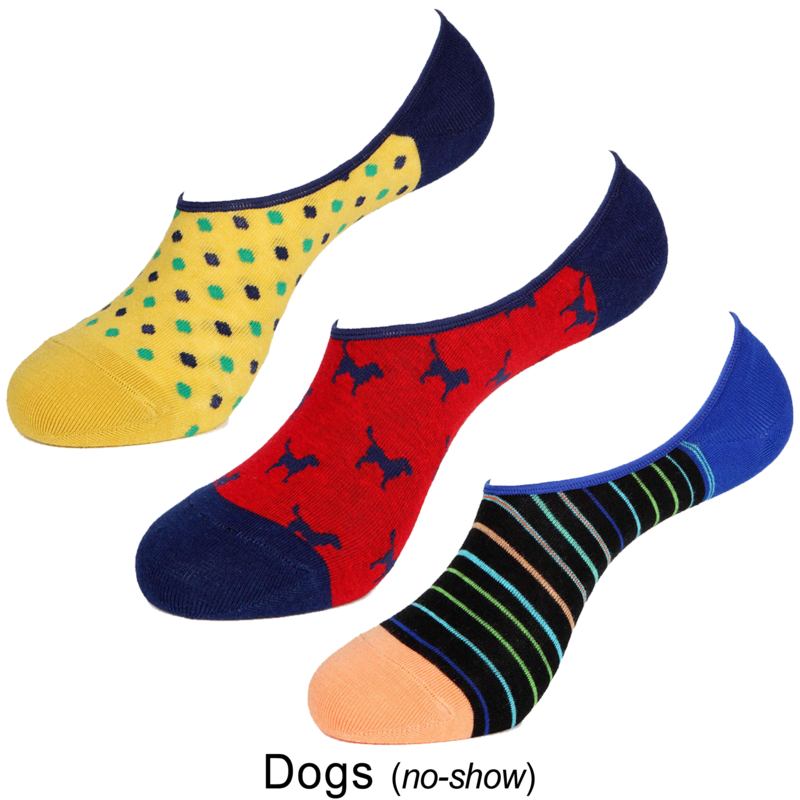 I have big feet so most socks end up wearing very badly in the heel - the material gets stretched too thin and worn down by my shoe… that’s not a problem with these! Great build quality, very comfortable, and stylish (I get a lot of comments on my socks now). Getting socks over my big feet also wears out a lot of elastic (especially with cheap dress socks) so they fall down my calves all day - these hold on tight (but not so tightly as to be uncomfortable) all day. 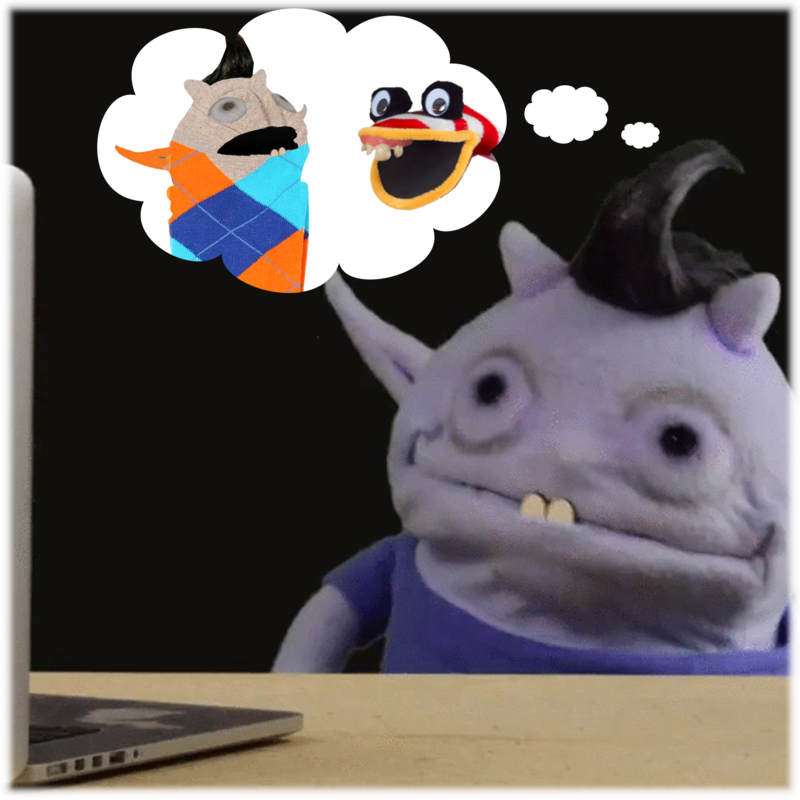 Oh no… I just wrote a multi-sentence review for socks - what have I become?! That is the coolest giphy I’ve think I’ve ever had here. 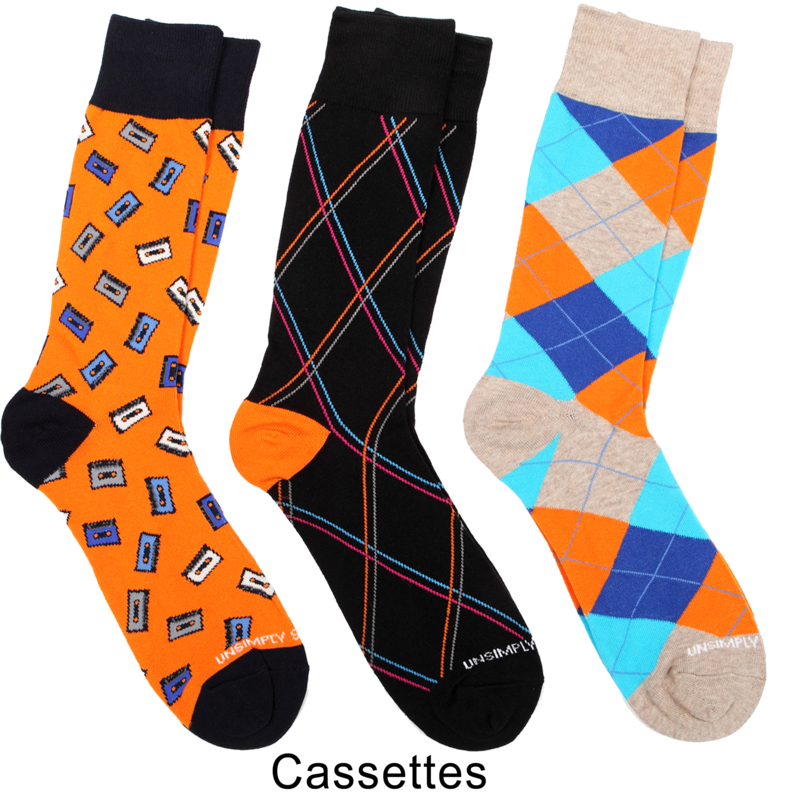 I resigned myself to wearing strange, clashing, unmatched socks long ago. And nobody notices that they’re mismatched, right? @The_Tim glad I am not the only one. They are great socks! Just about every sock I own has been bought here. Decided to add more to the collection and bought the 3 pack of cassette socks. @JT954 Rats. I was hoping for a better giphy result. I hurriedly looked at MEH to see what I could get with my birthday money. You give me UGLY socks. @comics360 Happy Birthday!! It’s my son’s birthday too! Squirrels and spiders in the same group? I am SO in. *Ugliness intensifies, in for 2. I have so many of these already. And I just ordered 3 more sets. My wife is going to think I’m crazy. These socks are really good though. Just wish they were a little thicker sometimes. These keep getting progressively uglier with every sale. Love it. hmm… i may have to open a bank account at some point today. My sock drawer is almost entirely simply unstitched and free meh socks. Just added the cassette and astronaut sets! Gotta keep adding to the meh sock collection. Love these things. Went with Ice Cream this time around! Welp, I opened a bank account, and the set I wanted (astronauts) was one of the only ones left. My feet are size 13. 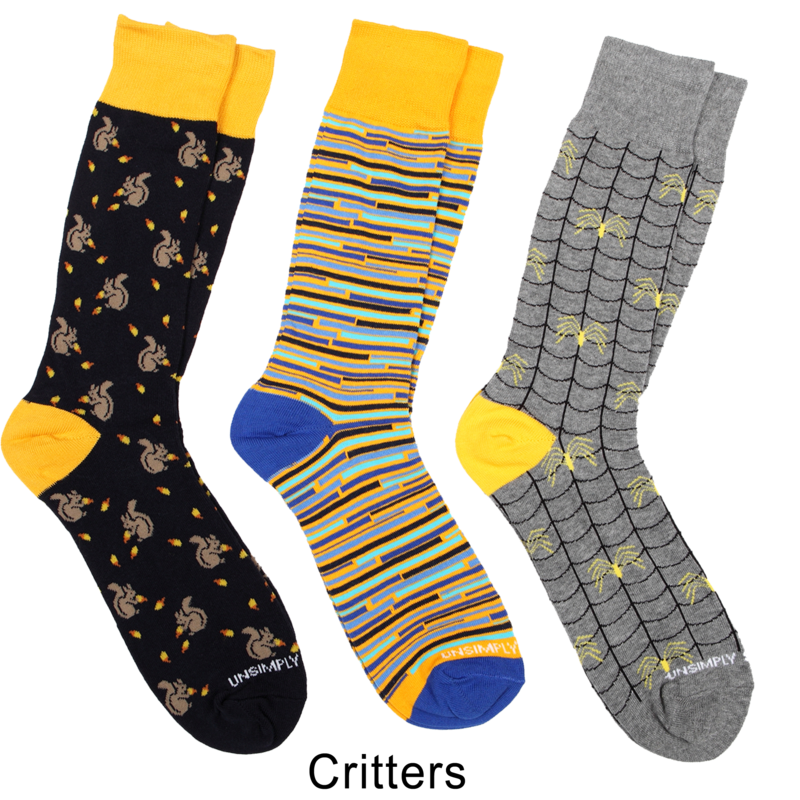 Do you know how quickly undersized socks wear out? Meh! @Everbody I wear size 14 and have purchased a few of these three packs. All have held up pretty well compared to other socks. Worth it! @SweetNsourJess Don’t feel bad. 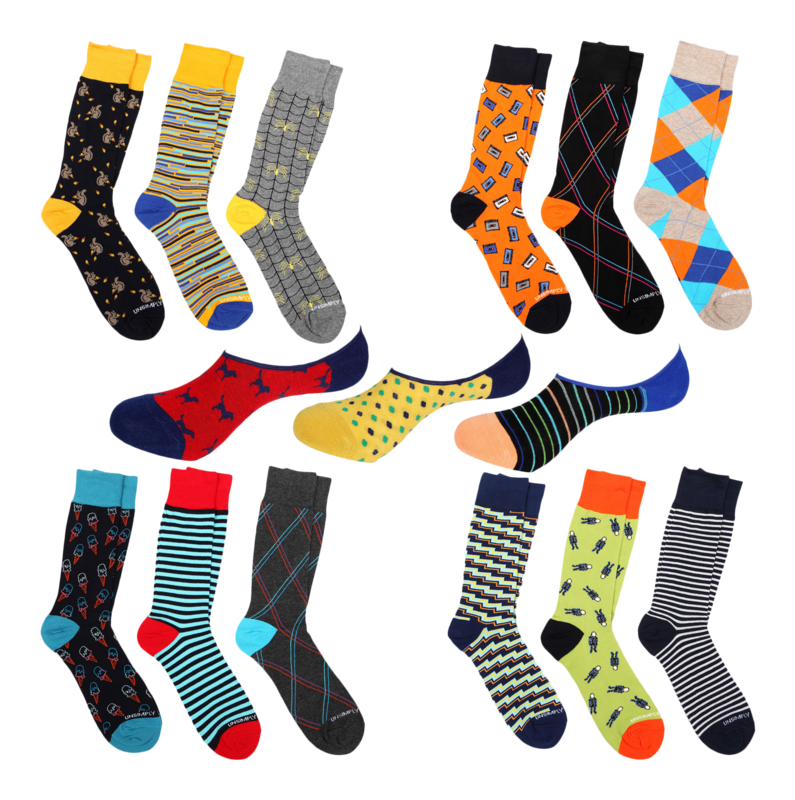 Even when i catch these sock deals they’re almost always only in little men’s sizes. Size 12? Maybe in 8th grade. Wait, those squirrels aren’t eating candy corn are they? @RiotDemon Had to order the Critters to see up close. Nice work, meh! @mehcuda67 Came here to say that. @blaineg Sure hope my wife doesn’t see giphy’s contribution! Socks that aren’t full length! You know, the kind that I can wear on my feet! Three socks, when most everyone has two feet! Oh, these are socks for men. Why, oh why? critters and no shows. @midstarrynight I thought the astronauts were Borg. @lordbowen @midstarrynight They looked like random Dr. Who monsters to me. Has anyone tried size 12 socks on, even if your shoe size is 14? How do they feel? Asking for a friend. @mehcuda67 yah testing the efficacy of the chef boyardee ravioli can’s lava-stopping ability (and caloric replenishment for first-responders) once Kilauea blows. They could’ve used spam but it’s a much more valuable/cherished commodity there. @kylar Looks like they’re going to have to step up the sacrifices, judging from that picture. Pele doesn’t look very placated! Also, judging from the ejection from that can, I don’t think the first responders are going to feel very enticed. Four out of five Hawaiian fire goddesses prefer Spam. Though I must say, I admire the photographer who took that shot. Decided to order more socks. This time the astronaut set which I will give to my sister as a novelty gift. @JT954 Sadly I can so relate to that gif. Not even with three unused ten dollar VMPBRIBE codes - one of which would make a set of these “free”. Our local Salvation Army seems to prefer mainstream stuff donations. @fastharry But that was from March 1, 2016. 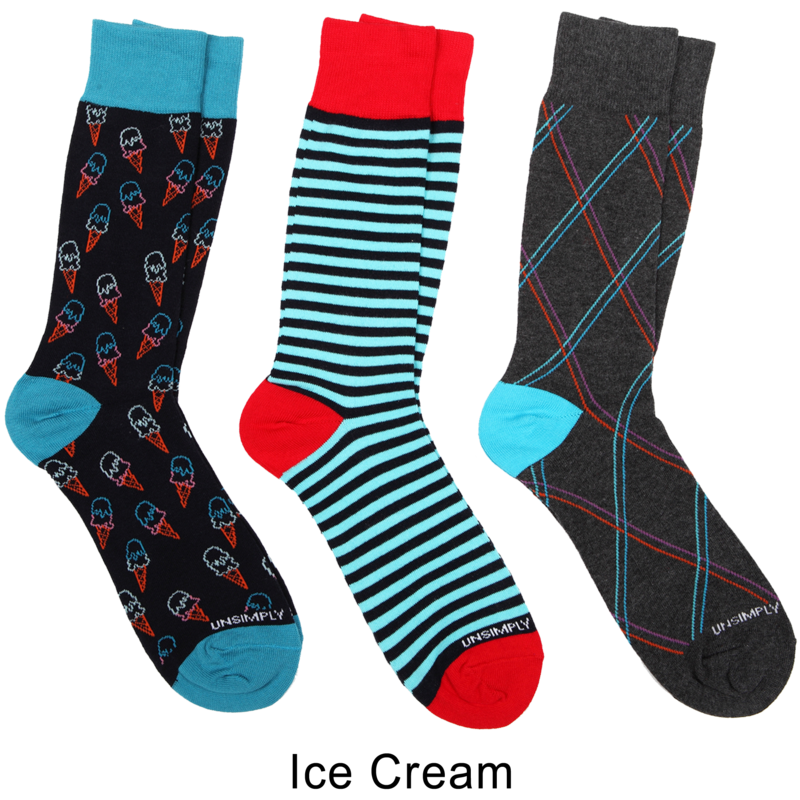 Crazy patterned socks are obviously back! Not really sure why anyone would pay this much for the no-show socks. The whole point of funky designs is that people will see them. Wait a second! Is the shipping cost still $5 despite they’re just shipping socks? Soooo that’ll make it $5 a pair? @goldnectar it’s $5 shipping whether you buy socks or an electric scooter. But you should now have the option to get a membership for $4.99 instead, and your shipping will be covered all month! I would be buying the heck out of these socks if they were available in smaller sizes. I had passed on these before, and I regret that now! These are some of the best socks I own! I hope Meh ends up with more! So damned comfortable! @Dave You could probably buy back woot for 5 cents on a “Rack”. I’ll buy at least 1M shares with you! Good deal. Great socks. If I had known how comfortable the socks were, I would have purchased an additional set or three.